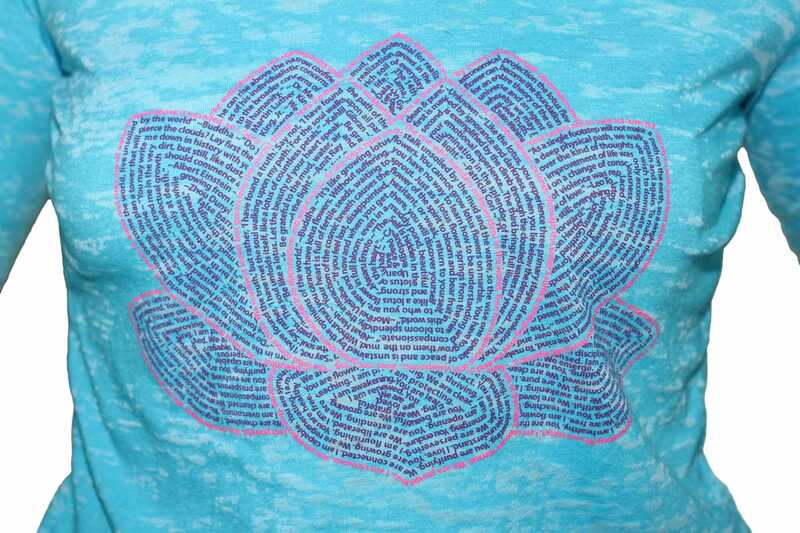 Think Positive Apparel’s Lotus Flower Design Made of quotations and affirmations about the meaning of the lotus flower. 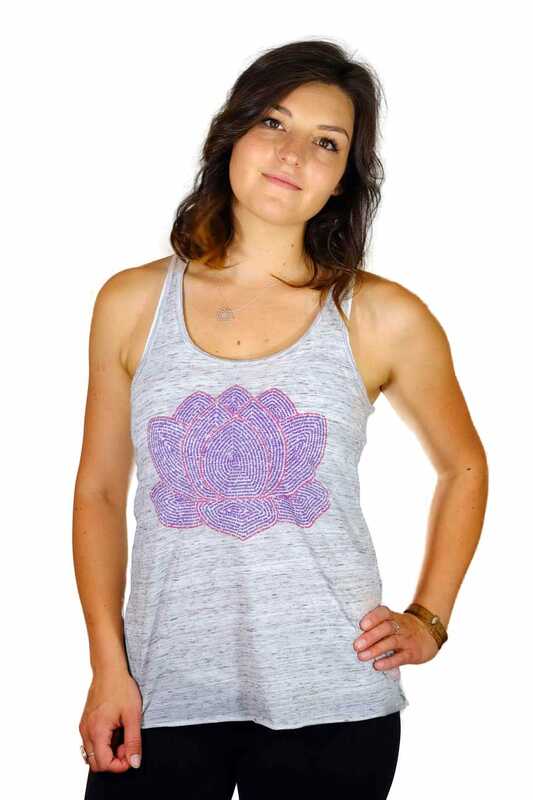 Think Positive Apparel’s Lotus Flower design is made entirely out of quotations and affirmations relevant to the lotus flower meaning. The lotus flowers’ symbolisms include beauty, purity, discipline, growing towards enlightenment, and breaking through false barriers. Their seeds start in muddy waters that is often used to represent the ego or the suffering of life. The water’s surface is the false barrier of attachments. After breaking through the water’s surface, a lotus flower unfolds representing the expansion of awareness that leads towards enlightenment. 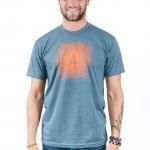 The lotus flower meaning is ultimately about transformation. On the bottom row of petals you will find “I am”, “You are”, and “We are” affirmations relevant to some of the most common meanings of the lotus flower that many cultures have assigned to this beautiful flower over the last three millennia. 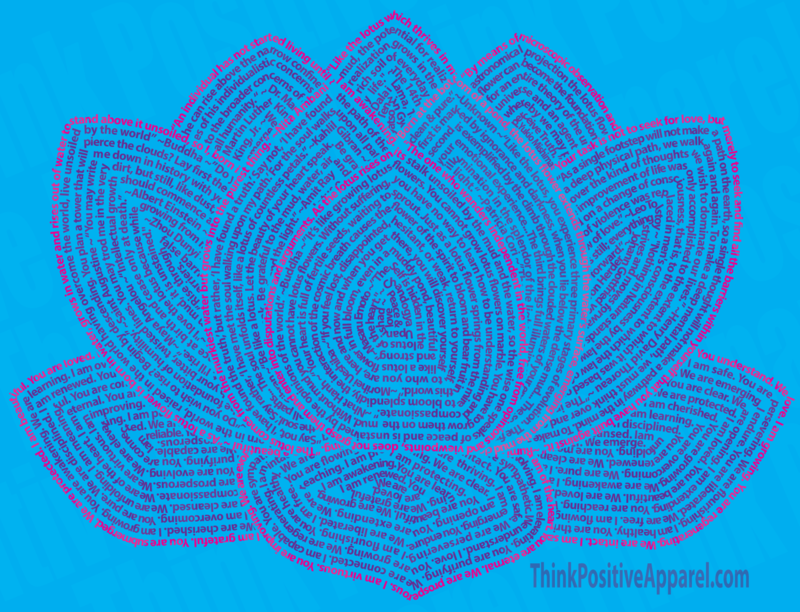 A closer look at Think Positive Apparel’s Lotus Flower design made from tiny, positive words. “Born at the bottom of a pond, the lotus flower extends up through the water’s surface, emerging from the murkiness clean and pure.” ~T.L. Let us know what your favorite symbolism of the lotus flower is or any quotations on the subject that inspire you by leaving a comment bellow! ← The World Peace Playbook by Martin Luther King, Jr.